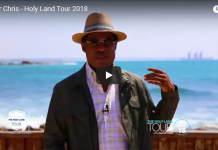 The famous Pastor Chris Oyakhilome, the founder of the Christ Embassy megachurch, has reached his final full day of his eight-day Holy Land Bible Tour. It has been an amazing journey across Israel and Jordan, one not to forget. The aim of the trip was to reunite Christians with their homeland, as well as to unite them with the Jewish community that exists here. 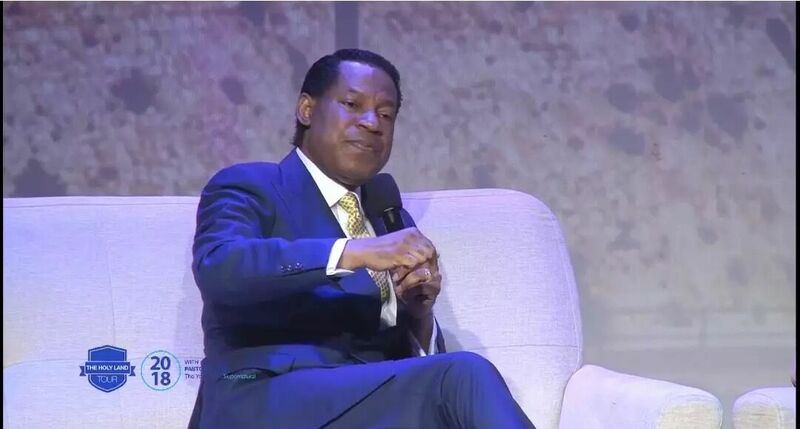 Being that Israel is the birthplace of Jesus, it was extremely important to Pastor Chris that he extend this invitation to all LoveWorld supporters and to his dear friend Pastor Benny Hinn. Together they embarked on a journey that touched the hearts of hundreds involved. The final day began with one of the groups remained in Israel, and one within Jordan. The group in Jordan, situated right beside Israel, visited the city of Jerash, which is the city of the Decapolis. It is also the site of the ruins of a Greco-Roman city. It’s filled with historical and biblical references, which date back centuries. The participants present were in complete awe of the archeological diversity. The group felt Jesus’s spirit within them, as they stood there at the site. 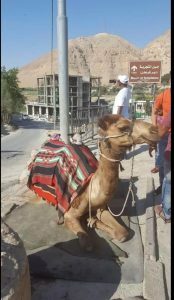 They acknowledged the fact the biblical history does not only exist in the country of Israel, yet it does in Jordan as well. Following the visit, the group enjoyed a traditional lunch at a Lebanese restaurant in Jerash. This gave the group an opportunity to enjoy the delicacies of their neighboring countries and fully immerse themselves in the Middle Eastern cuisine. The Holy Land Tour offers gives one the chance to connect to the Holy scripture, as well as an opportunity to be exposed to the unique and diverse Middle Eastern culture. The group made their way back to Israel through the Allenby Bridge border crossing. The Allenby Bridge is also known as the King Hussein Bridge. It is a bridge that crosses over the Jordan River and connects the West Bank with it. Aside from the West Bank, the bridge is currently the sole designated exit/entry point for West Bank Palestinians traveling in and out of the region. To finish off the Holy Land Bible Tour, Pastor Chris and Pastor Benny Hinn held a charity gala in the Olmaya Hall, located in Jerusalem. 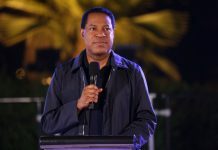 The gala included an uplifting ministration from Pastor Chris and Pastor Benny Hinn on the importance of the land of Israel and unifying the bond between Christians, in specific Evangelicals, to the country. The guests attending the gala include many international Evangelicals, Jewish supporters, and followers of the Pastor. It was reported to have been an extremely successful event. 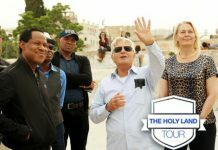 For more information on the Holy Land Tour and Live ministrations, visit https://bit.ly/2I6BcRX and https://bit.ly/2rbI7UJ.